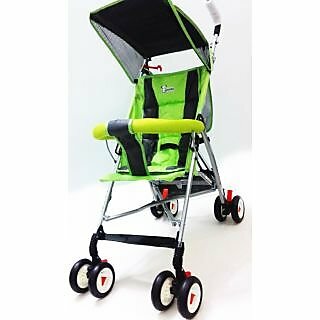 Designed so that you can take your little one with you wherever you go, whether it is to the park on a cool Sunday morning or for grocery shopping. It has numerous features that cater to both baby and parent. The baby's comfort and safety is ensured. This stroller can be folded to a compact piece for easy portability, so that it can be stored in the trunk of your car or the closet at your house.